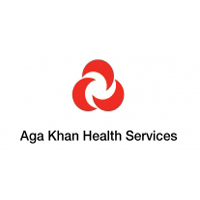 The Aga Khan University Hospital, Nairobi in conjunction with the Aga Khan Health Service in Tanzania invites applications for the following positions to be based in Arusha, Tanzania. The Incumbent will be acquiring and interpreting various types of medical images including Radiographs, CT and Ultrasound images to diagnose medical conditions. Preparing written report of observation. HOW TO APPLYTo formally submit your application please send an updated CV and testimonials, including the names, postal and email addresses, telephone/fax numbers of three professional reference to hr.tanzania@aku.edu or post your application to Aga Khan University, P.O.Box 125, Dar es Salaam. The Aga Khan Development Network (AKDN) has contributed to health in Tanzania since 1929, working with government to support identified gaps in needs. Today, AKDN’s health care activities in Tanzania includes employment of 1000 staff, over 460,000 outpatient visits annually, including nearly 1.2 million lab tests, 65,000 radiology investigations, and 7,000 surgeries annually across its facilities. Its nursing and midwifery programmes support strengthened health systems throughout Tanzania by upgrading nursing skills, improving the quality of health care and developing new and more professional nursing courses. Its postgraduate medical education programmes in family medicine, internal medicine and surgery contribute to increasing the pool of specialised human resources. Its community health programmes reach poor people, focusing on maternal and child health. In collaboration with the Government of Tanzania, it is currently expanding its integrated health network to double the number of beneficiaries of its programmes.